The web based shop of "OUR PLACE"
Here at Model-Mart / Our Place we try to provide the model collector with top quality Diecast models from all of the top names such as Corgi, Dinky, Oxford Diecast, Matchbox, Hotwheels, LLedo, Saico, Minichamps, Onyx, Vanguards, EFE and many more, at prices below those of many of our competitors. 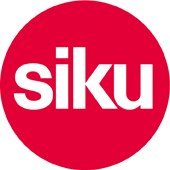 We are also a SIKU stockist and are able to offer products from their superb range of farm and plant machinery models. These high quality diecasts from this German company are superb in their detail and are fast becoming a top contender in this area of the diecast market. For the person who prefers to build their own models we stock a selection of kits by Airfix and Revell and the paints and brushes to finish them off by Humbrol and Citadel. For the budding racing drivers amoungst us we stock Scalextric Sets and always have in a good selection of cars, track and accessories. accessories from PECO, Metcalfe, Wills and Ratio to name just a few! From 1st of June 2016 we are now an approved Bachmann stockist and will be introducing a range of their products into stock along with Woodland Scenics and Graham Farish. The full range can be ordered from ourselves at competeive prices subject to availability. The list is endless and we hold many more items by all the leading names as well as being an official stockist of GIBSON jigsaw puzzles. We also hold in stock a wide selection of pre owned models both boxed and unboxed in various condition at prices you can afford. Due to ever changing stock not all of our items are listed on our website. If you can not find what you are looking for then why not contact us we may just have it on the shelf in our shop. Our range of over 3000 diecast models covers a selection for every taste and includes Race, Rally, Road and Classic cars as well as Commercials, Buses, Tractors and Aircraft. We stock most scales including 1/18,1/43,1/50 and 1/76 and, as an official stockist for all of the Hornby product names, we are able to order non stocked items as long as they are available. We are always happy to take your order for all of the new releases as they are announced to make sure that you that you do not miss out when the model is released. Pre release orders are welcomed. If we do not have it in stock we can order it!! Is you passion model railways? If so would you like to meet with like minded people?